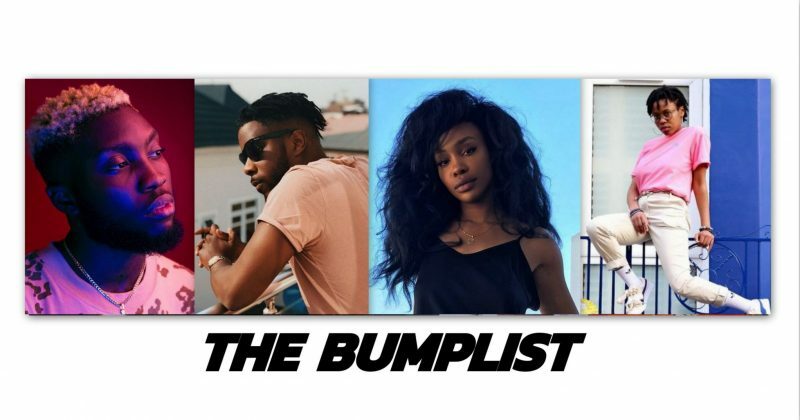 Despite the immense popularity of our Bumplists, we’ve had to pause its weekly updates while working on a better way to present this uniquely curated picks of the best songs from across the world. 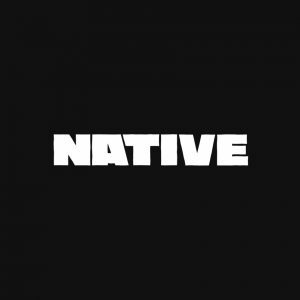 As part of NATIVE’s big plans for 2018, we’re rebooting the Bumplist exclusively on Apple Music, in line with our recently announced curatorship for the same streaming giant. You have heard songs like “Legbegbe” before, many times, everywhere. These songs literally live by the code of the infamous ‘Blades of Glory’ interlude from The Throne’s “Niggas In Paris”; ‘No one knows what it means, but it’s provocative’ . Like Small Doctor broke out of the streets with “Penalty” last year, Real Self is expected to come up next, thanks to this viral number released at the tail end of last year. “Legbegbe” is an EDM-set shoutout to cellphone dealers on the streets of computer village, Ikeja. It’s exactly the kind of meaningless song you can expect to rise into oversaturation from complete obscurity. To really put “2/11” in perspective, you’ll need to check out the remaining five tracks off Lady Donli’s latest project Letters To Her. The 6-track tells a story of lost love, “2/11” is fitted into the midpoint of tracklisting as a jarring ode to the particular date a great love walked out of her life. The intimacy of “2/11” makes it perhaps one of the saddest songs on Letters To Her, thankfully, it’s also one of the best off the project. Curiosity and high expectations trailed the promotional images for Odunsi’s “In The Morning” after the corner edge of the artwork revealed the track would be released under Universal Music Group. Luckily, Odunsi has never been the type to devalue expectations with a subpar output, especially for a major label debut. “In The Morning” thrives in simplicity, thanks to a combination of Caribbean drums glossed with acoustics, it’s the strongest artistic indication thus far of Odunsi’s gradual but eventual coming of age. For fans who loved Tomi Owo’s debut single, “Versus”, “Night Rain”, her latest single is the reward for the singer’s year-long silent spell with nothing but a handful of live session performances uploaded via her SoundCloud account. “Night Rain” is a soulful tribute to new emotions and cleansing from old pain. “Give me one hit, let me blow like Olamide” Cobhams sings on this power ballad every artist on the come up can relate to. “One Hit” is a longing for immense growth and for the fulfilment of potential. Though unintentionally, “One Hit” underscores the overarching desperation to do as they say and to ‘blow’, even if it comes at the cost of your soul. Against all odds—Wizkid clone accusations and all—Reekado Banks has been here and he’s still here; making earworms that snake into airplay and remain there. Occasionally his gems go somewhat unnoticed but they are simultaneously distinct and familiar when DJs shuffle them onto the deck at clubs and parties, “Like” exemplifies this unique ability. Reeky simply references some of his contemporaries’ buzzwords and melody on the Del B-produced beat. It’s almost corny, but your replay button will be locked on nothing else for a minute once you get past the third listen. When you consider how ingeniously talented Sauti Sol is, it feels as though Africa is yet to fully fall in love with the group. This may not be unrelated with the ‘boy band curse’: an inevitable potential for a mass fan heartbreak, because even blood is not enough to keep boy groups bound together in these parts. But Sauti Sol has not let up its foot off the gas, in the last two years the group has increasingly leveraged West African Afropop for a truly pan-African appeal by collaborating with Yemi Alade, 2Baba amongst others. Save for its corny title (and premise, if you’re also tired of hearing every other song about the black woman’s skin), “Melanin”, is a dancefloor slow-whine bop with enough core dynamism of subject matter to easily slip into heartbreak and romance playlists; essentially the perfect pop song. Huncho Jack, Jack Huncho dropped in the dead of night, after months and months of hype from all parties involved. As you’d expect from anything involving Quavo and Travis Scott, there were more than enough hits – to last us till Culture II and Astroworld, at least. What they also both brought from their solo endeavours was the propensity for a deep, introspective outro (see: “Apple Pie” on Rodeo, “Out Yo Way” on Culture). “Best Man” is a vulnerable ode to your bredrin who have your back for life. A co-sign from Drake means a lot in any country these days, and no two countries know this better than Nigeria and the UK. So when Drake is seen signing along to your track, you must be doing something right. On “Party Here” (a re-released single from the London rapper Octavian), he floats effortlessly on a track ready for the dance. A perfect remix to an already perfect song. Cardi snapped. 21 Savage is the year’s unlikeliest bonafide pop-star. When Maleek Berry threatened to “flip the sound” as part of the promotion for Last Daze of Winter, fans wondered if this new sound will measure to the old one. Fortunately, as the pre-released singles, “Pon My Mind” and “Been Calling” already suggested, the singer knew better than to flood the 6-track EP with strange sounds. While most of the tape remains rooted in Maleek Berry’s Caribbean tinged Afropop melodies despite their somber themes, on “What If” he lets go of the familiar dance inclined melodies to sing a somber R&B ballad that delivers the project’s heart-wrenching punchline; “Now The Summer Is Over”. Crafting a sound after just one single takes some doing, but WavyTheCreator seems to have it figured out off the bat. On her latest single, “Stay” she continues her melody building antics with Tay Iwar’s backing vocals to unfolds the songs layers like an origami, with intimacy and enigma at its core.